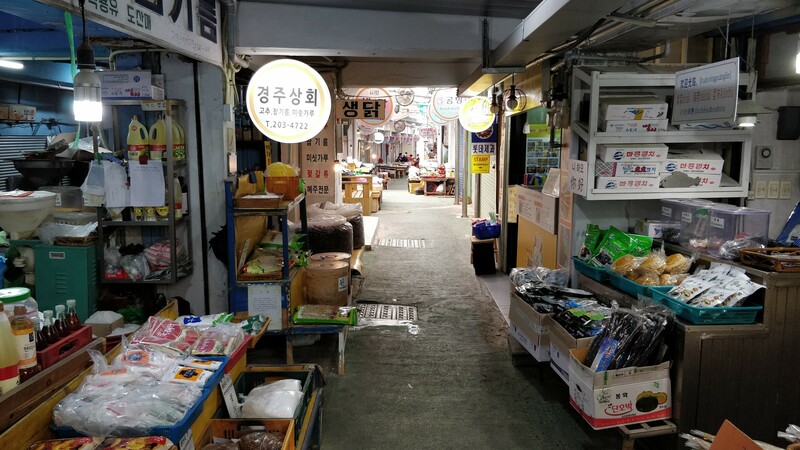 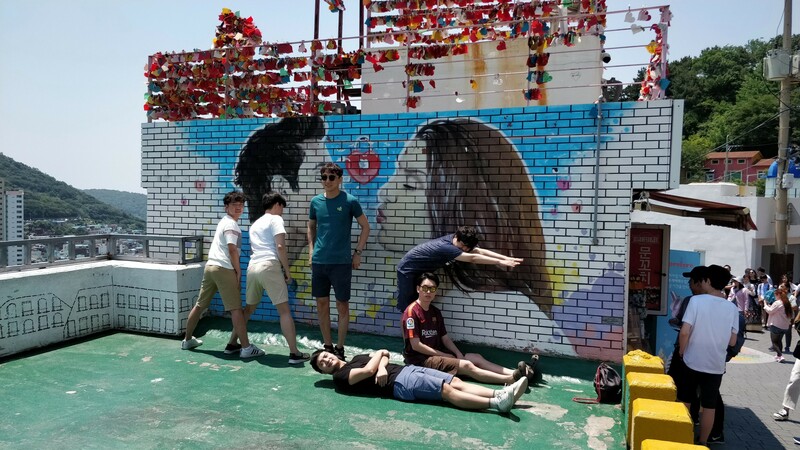 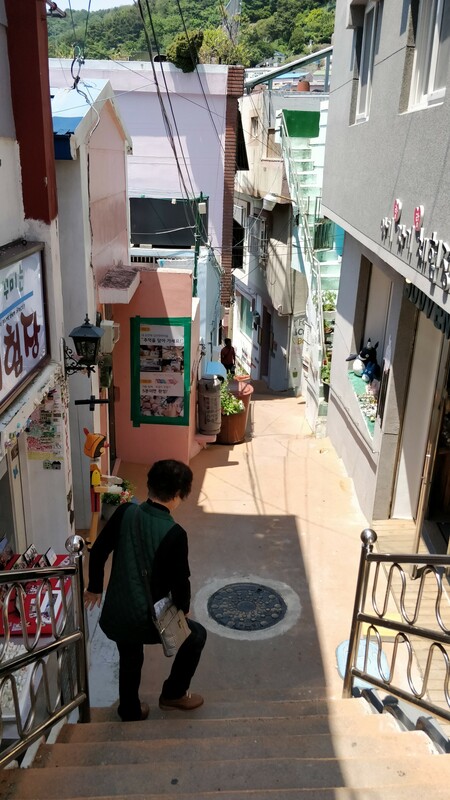 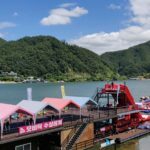 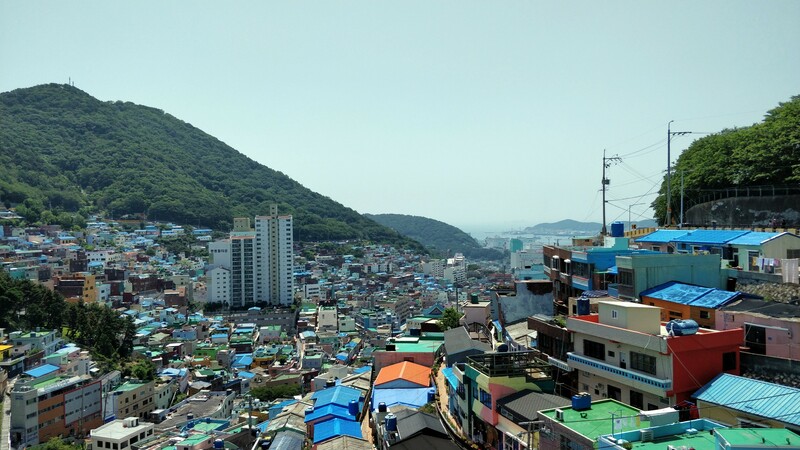 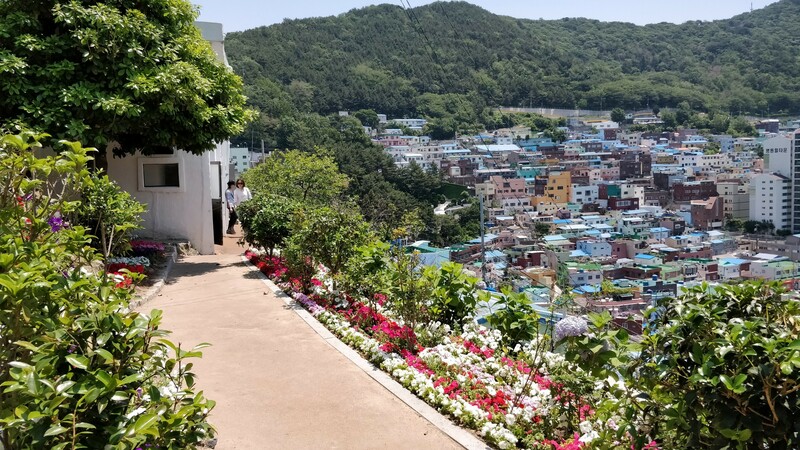 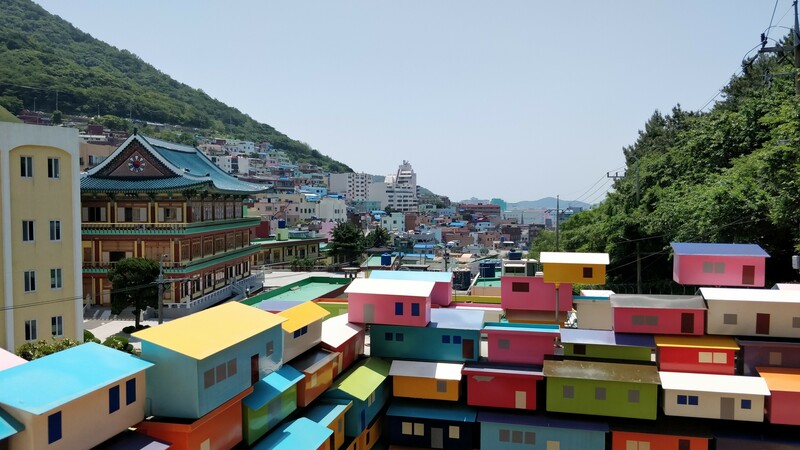 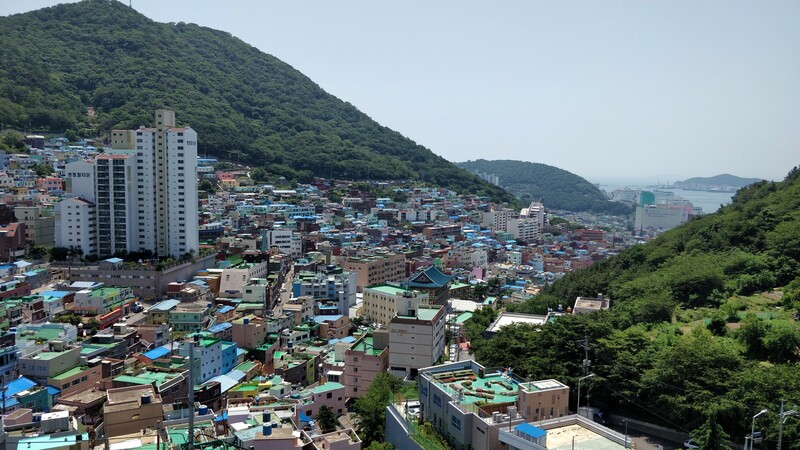 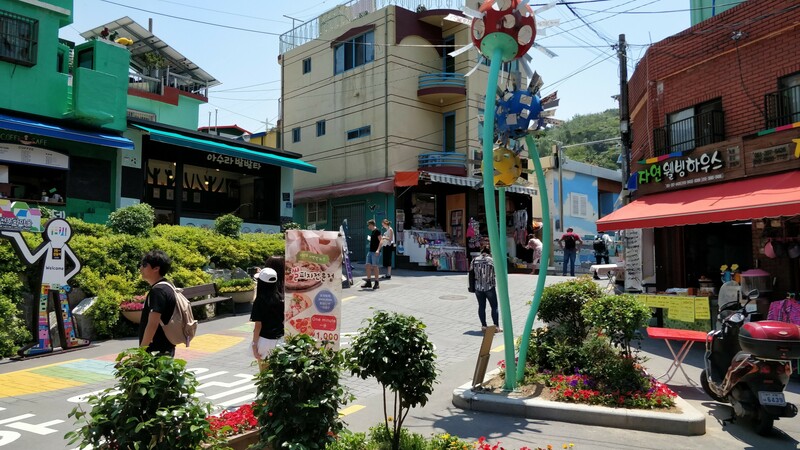 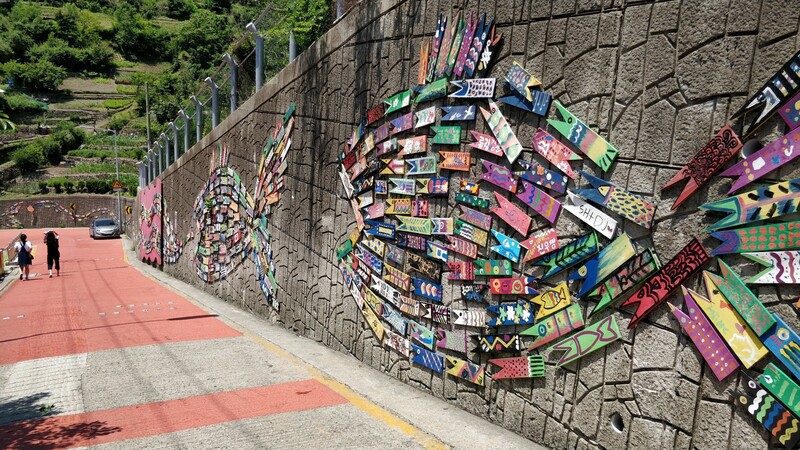 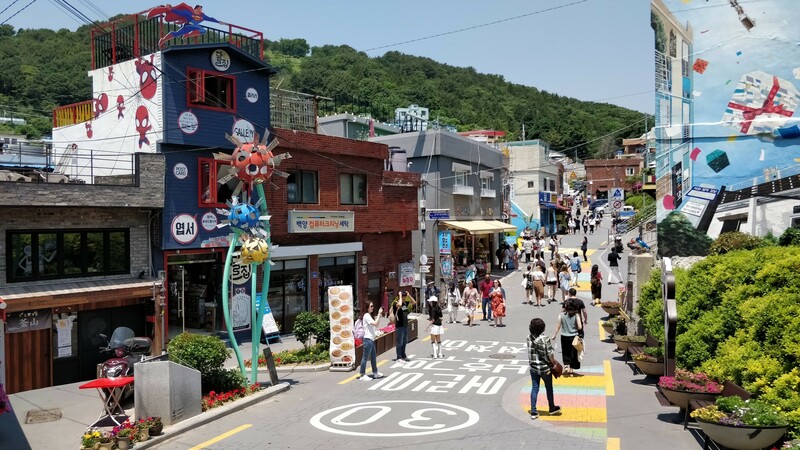 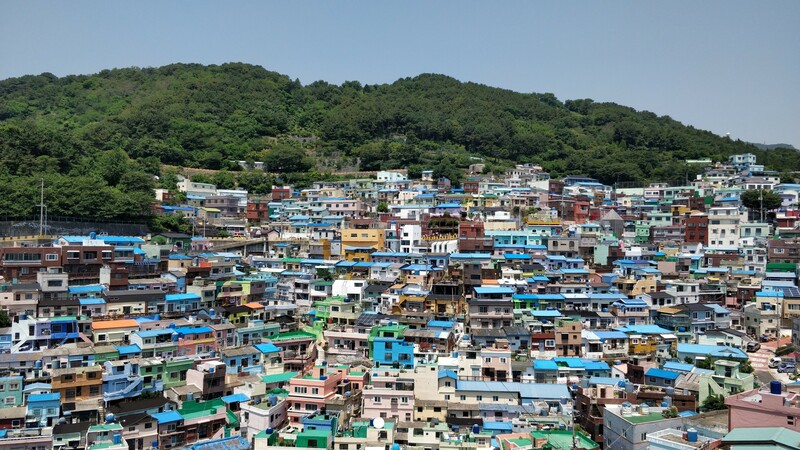 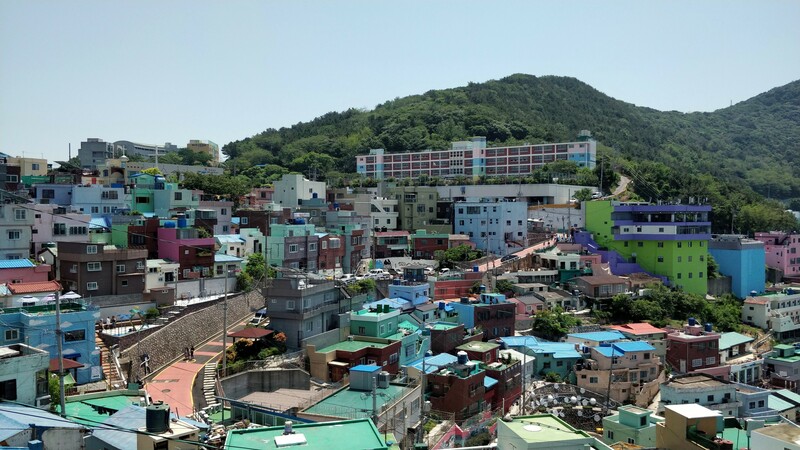 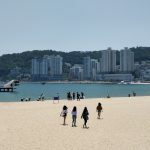 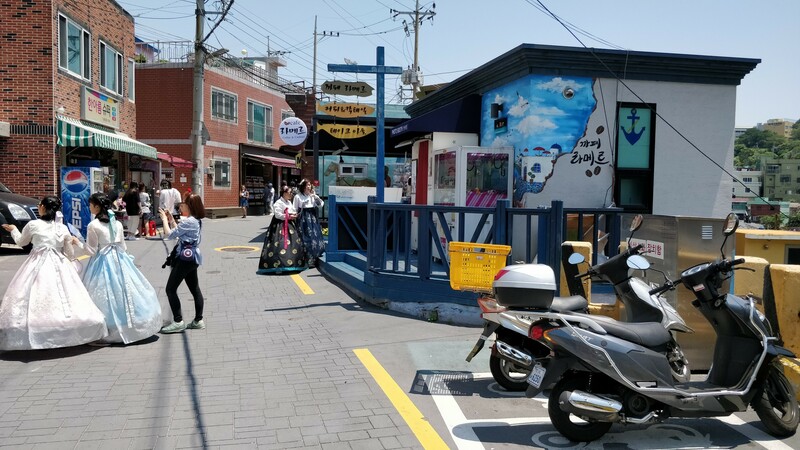 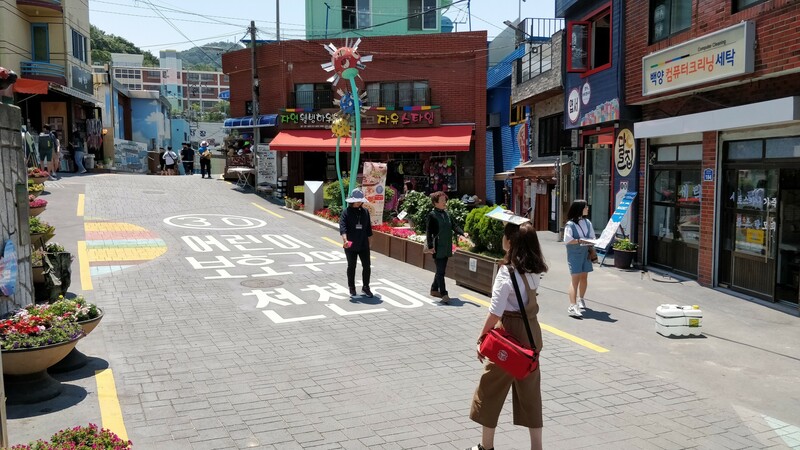 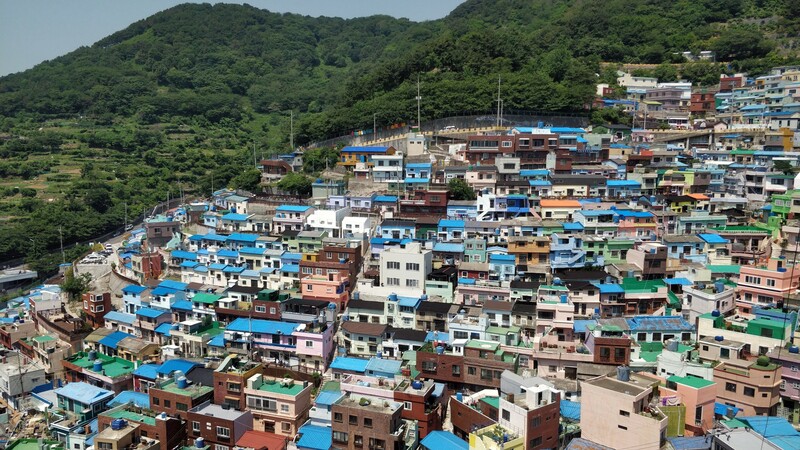 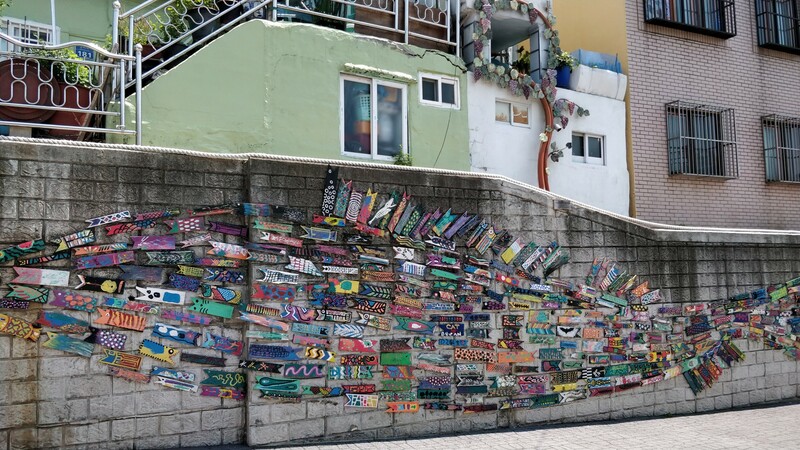 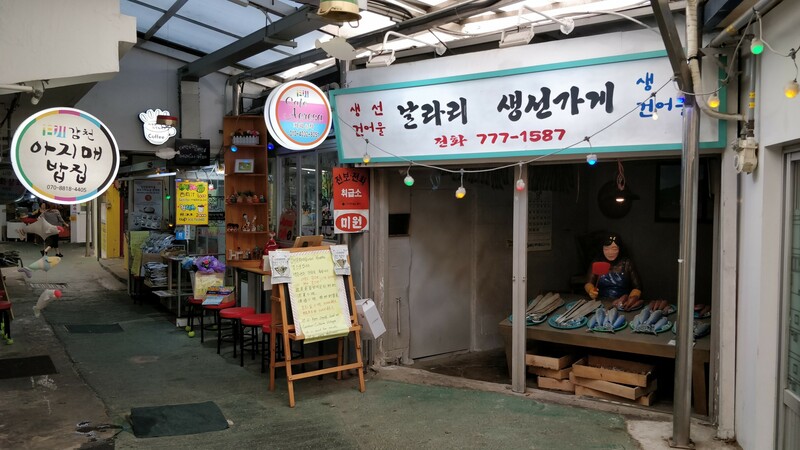 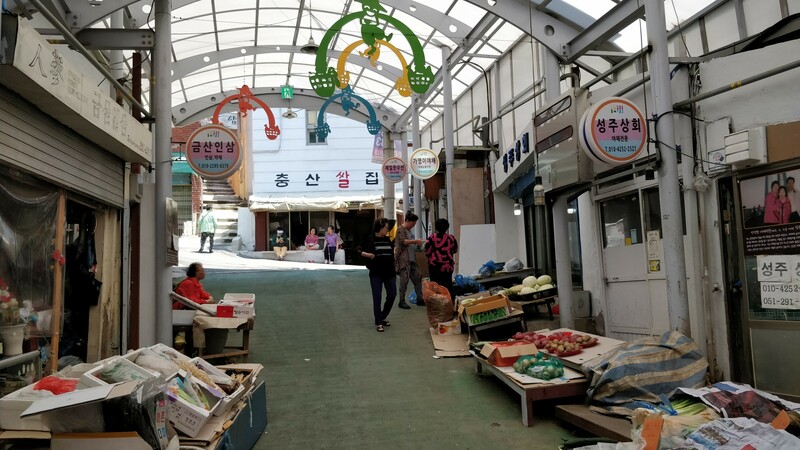 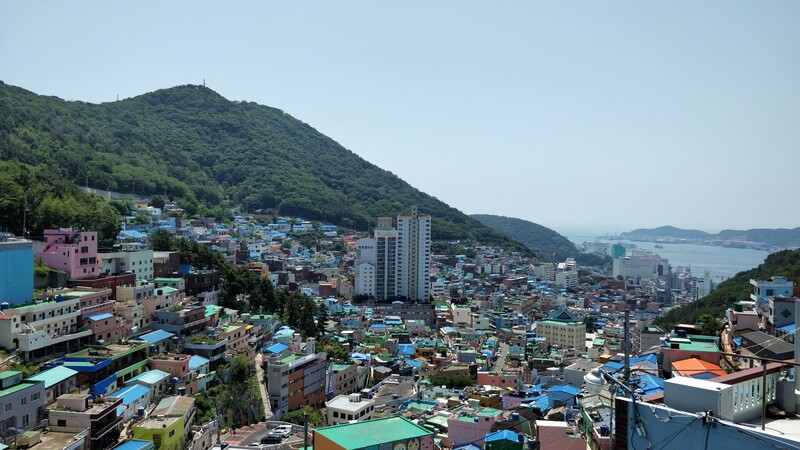 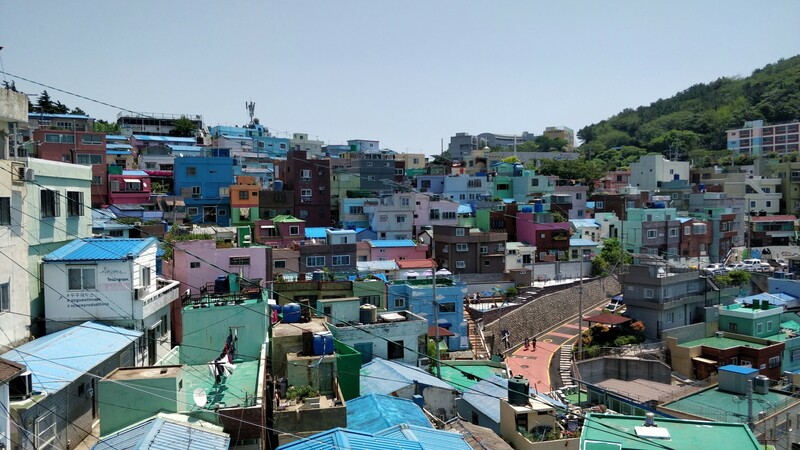 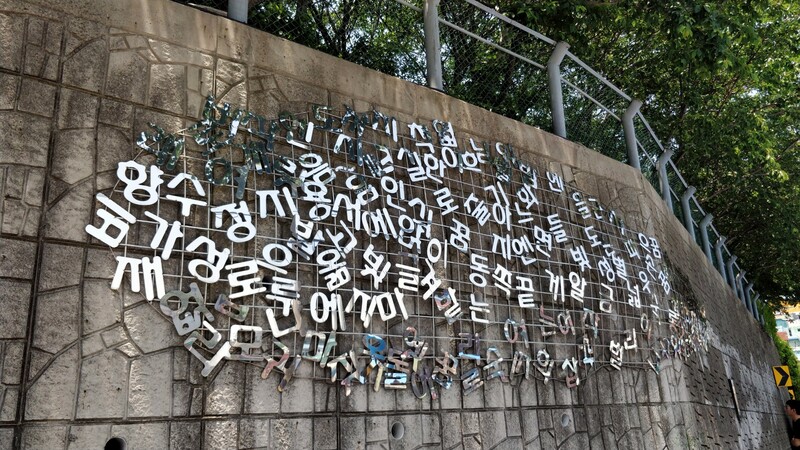 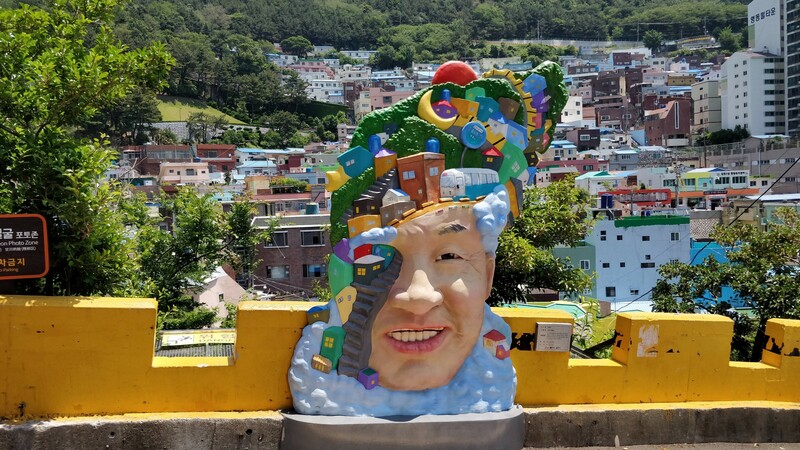 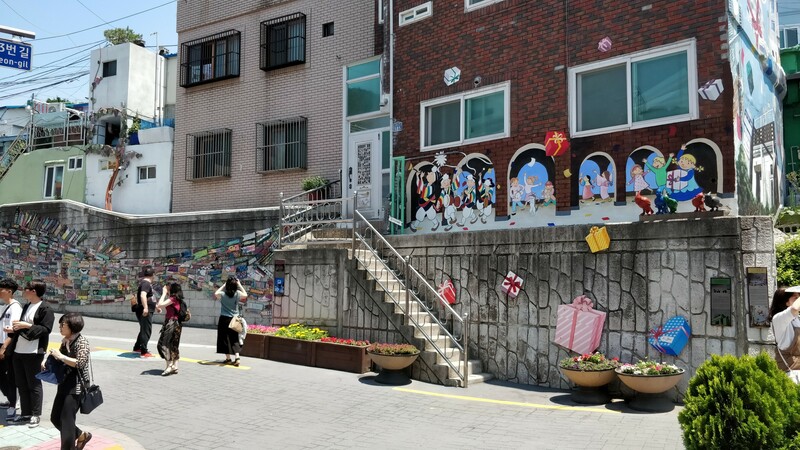 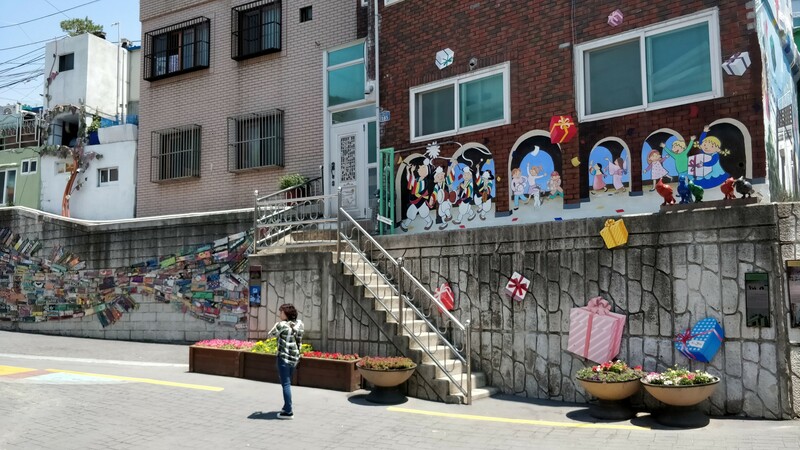 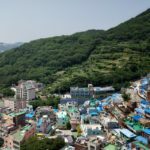 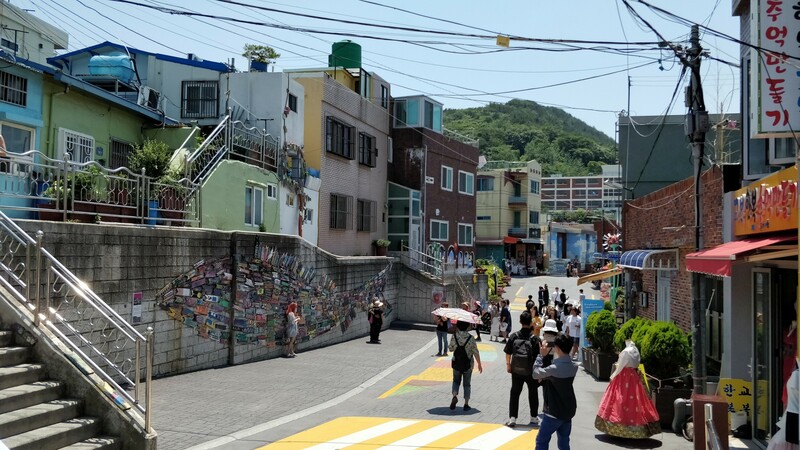 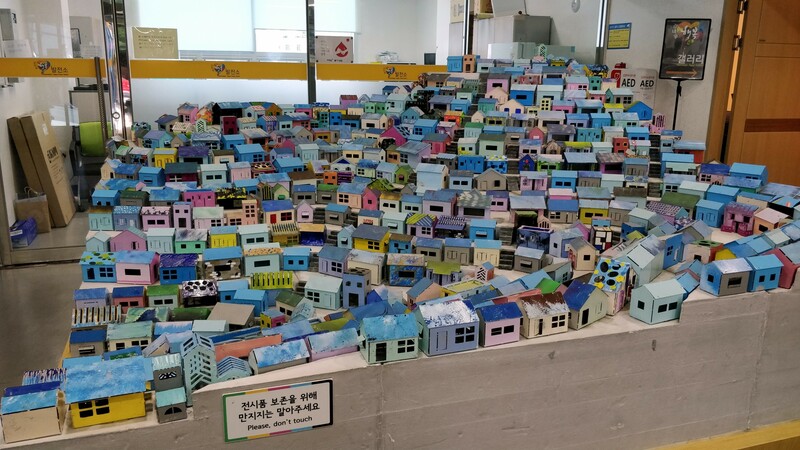 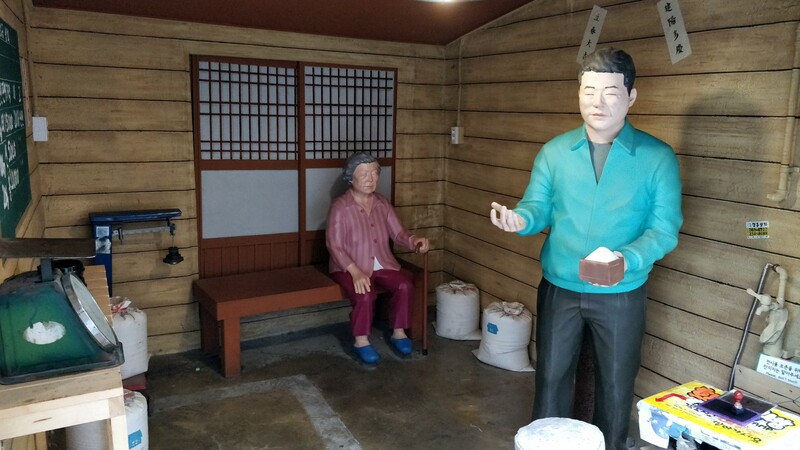 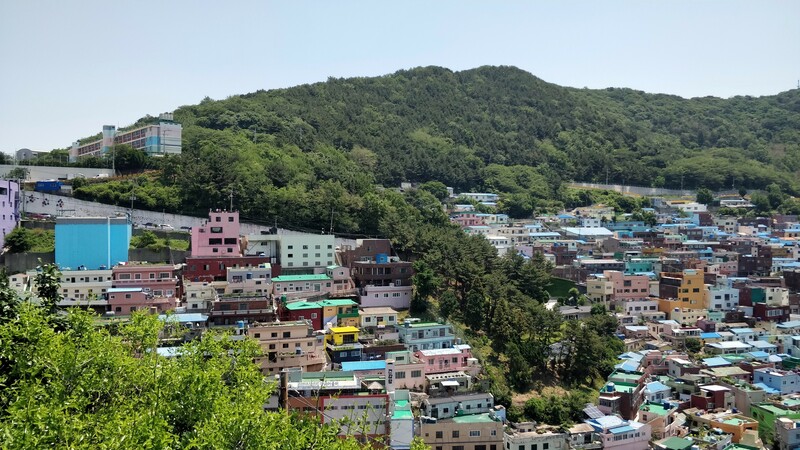 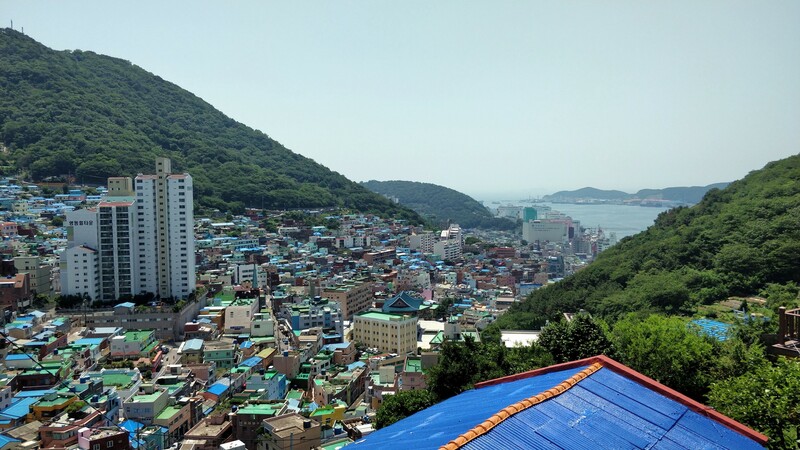 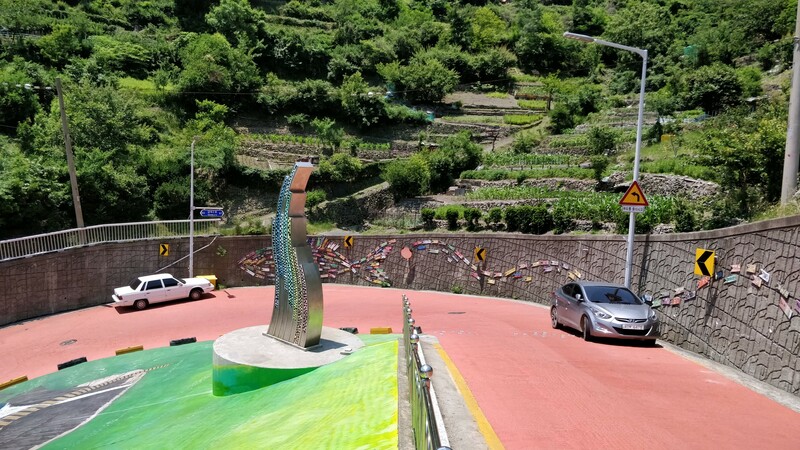 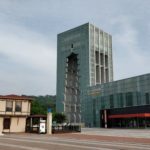 Lots to see and do in Busan, and yet the Gamcheon Culture Village is probably one of the most famous and quirky attractions. 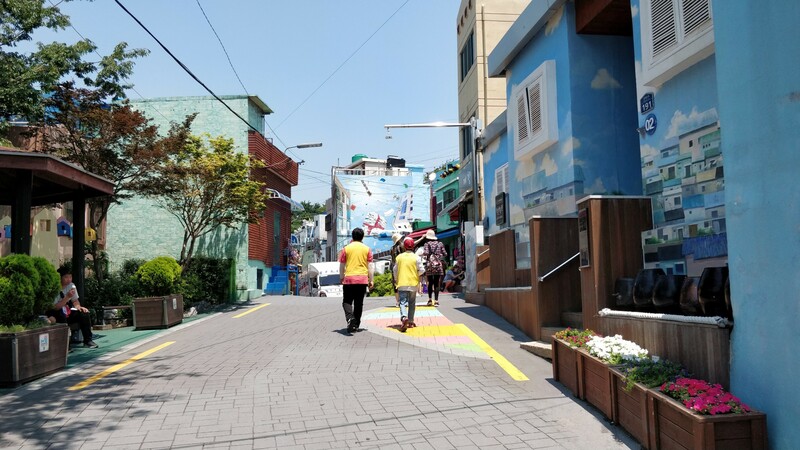 In 2009, the government took a slum location on a mountain ridge that has lots of small alleys and narrow streets and renovated everything, transforming this neighborhood to something quite unique, filled with color and life. 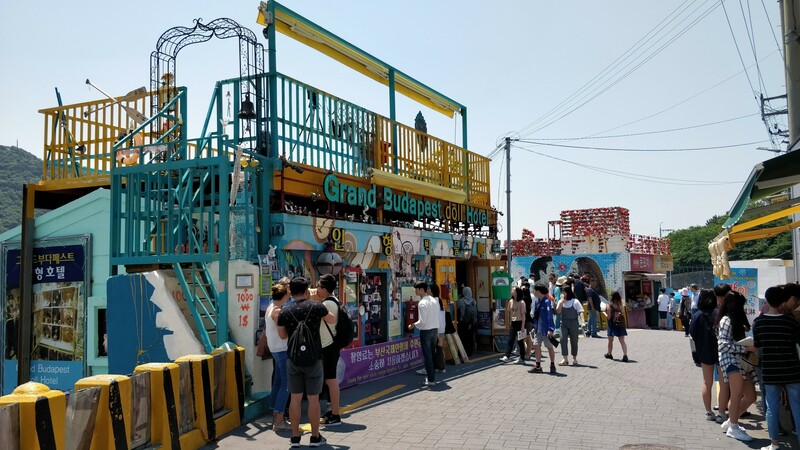 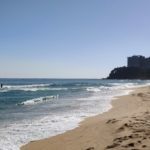 The result – a tourist mecca, with lots of small arts and crafts stores, artisan coffee shops, great little restaurants and street food stalls, and lots of great photo ops everywhere. 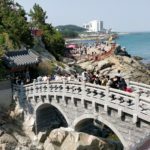 During the time I was there it was very lively, with the locals (and visiting mainland Chinese) spending hours roaming around taking selfies and posing in various creative ways. 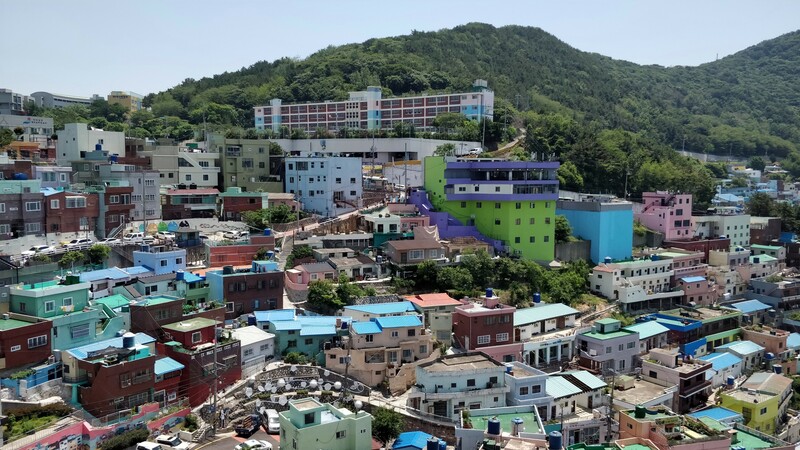 Just goes to show how tourism can transform slums into gems.